Anyone traveling to Scotland tends to be interested in a good whisky, too. 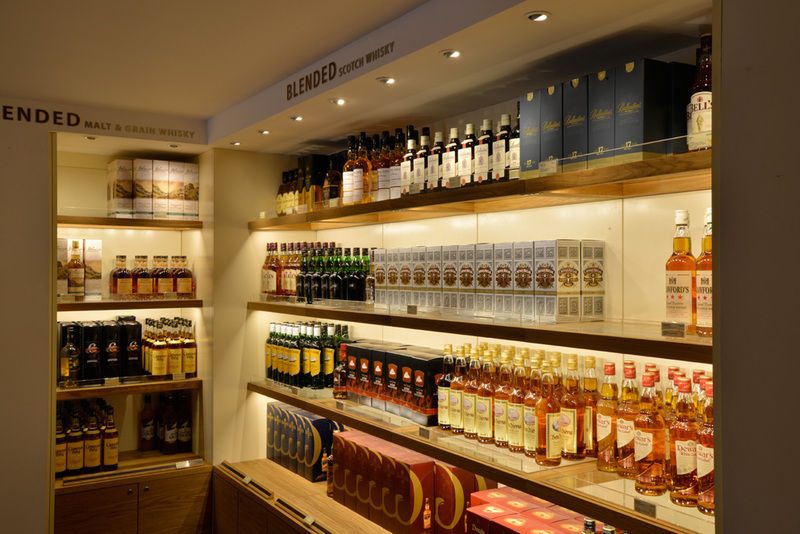 And The Scotch Shop in Edinburgh is the vey place where on a tour you learn all the details of the drink’s history and whisky-making – and to make certain not just the tour but your subsequent time choosing which whisky you want to buy is a grand experience, the interior architects at Bright 3D have come up with a special design – together with light artist Malcolm Innes. 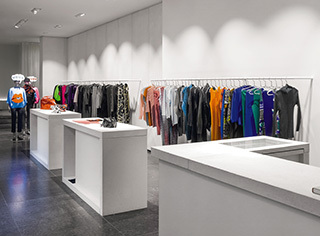 They chose a combination of the latest lighting technology and more traditional elements and materials: the carpets spread around the store with their subdued color tones in a typical Scottish check provide a pleasant warm mood, the furniture and floors are made of wood. 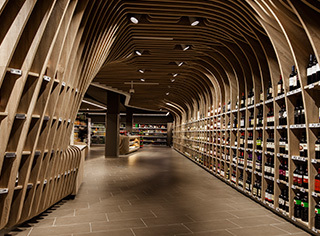 Firmly in the center of attention: the whisky, which is perfectly highlighted by the lighting for the bottle shelves – using integrated LEDs from British manufacturers acdc. 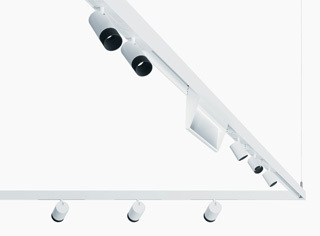 Various different downlight types and a linear luminaire are used. 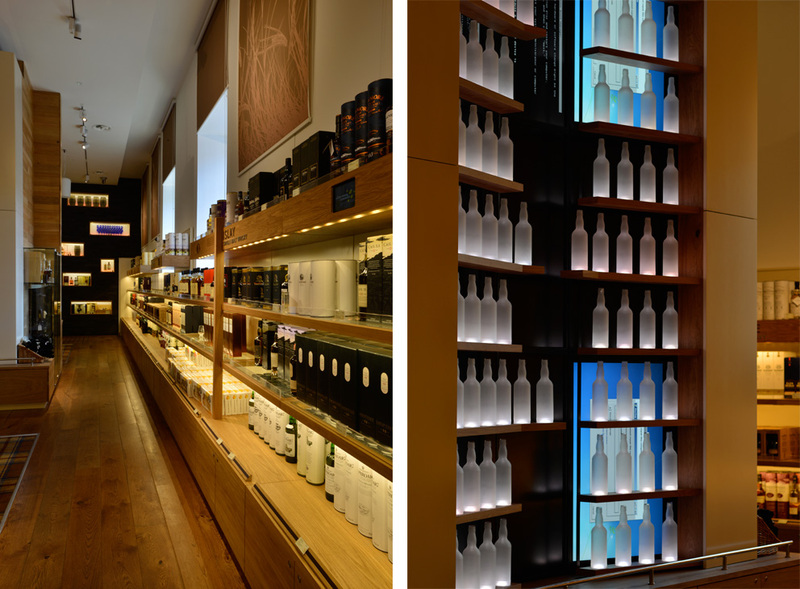 At the end of the salesroom stands a presentation wall that meets exceptional standards and special LEDs illuminate it in different degrees of brightness and colors to visualize how whisky is “blended” from various grains to form a smooth finish. acdc has been a member of the international Zumtobel Group since 2015 and provides architectural lighting solutions for discerning projects. 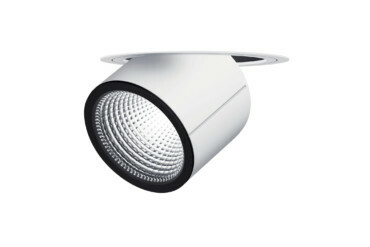 The range of services extends from facades to interior lighting and from hotels and restaurants to stores and showrooms. 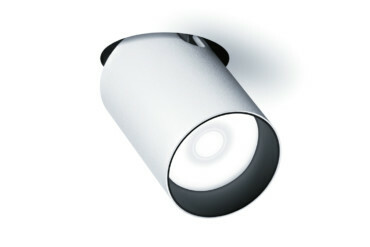 In particular, discerning presentations of products in a salesroom call for an intelligent use of lighting. A prime example: in a town with the pleasant name of Bellevue in Washington State. 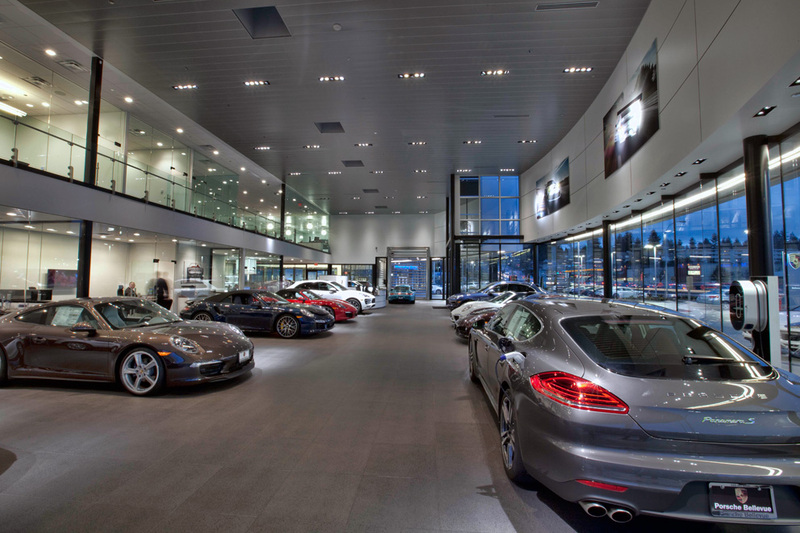 For a new showroom for a new Porsche dealership, the light designers at Studio Lux wanted powerful ceiling downlights that quite literally presented the expensive autos in radiant fashion. 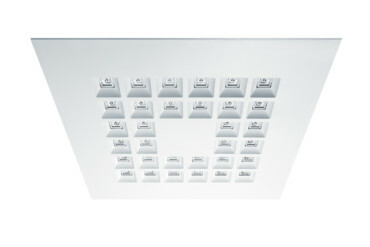 The choice was acdc’s 360+ luminaire, a small but powerful, frameless dual ceiling downlight. Thanks to the LED technology it is especially bright and therefore creates the desired effect: the reflection emphasizes the cars’ lines and contours as well as the perfectly painted almost flowing surfaces and colors. 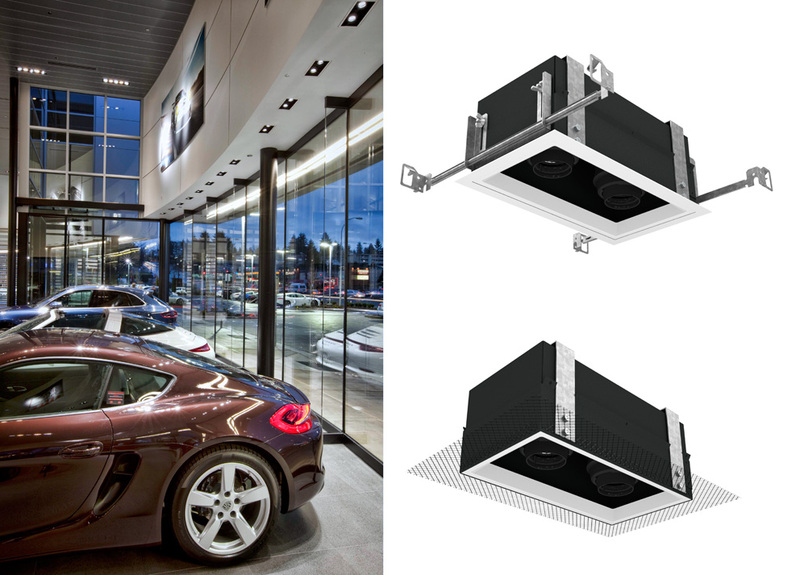 Moreover, the downlights were easy to integrate into the curved underframe of the ceiling. 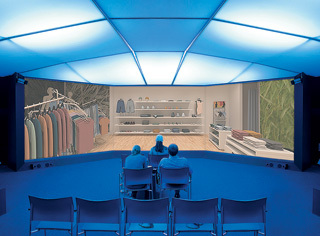 A major study examined the responses of clients to different light settings in retail outlets. 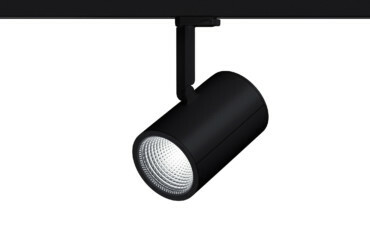 Katharina Sommer summarizes the findings and explains what they imply for lighting design in stores.